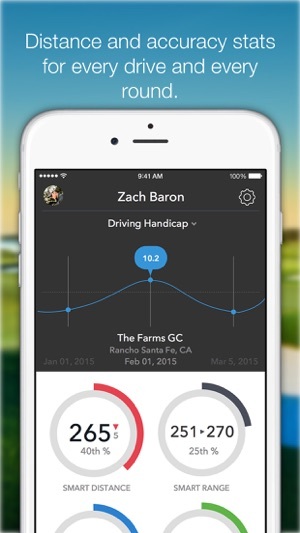 Based on the “Rules Changes for 2016” published on December 13, 2015 and available at www.usga.org, the Arccos Driver app conforms to the Rules of Golf. 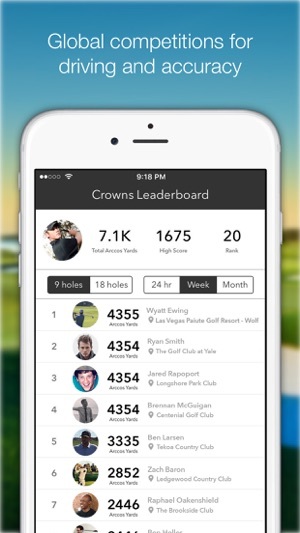 The Arccos Driver app can now be used in Stipulated Rounds when a local rule permitting the use of distance-measuring devices is in effect, so long as a golfer does not review data from a hole previously played during that round. The Arccos Driver performance tracking and live competition system delivers real-time data for tee shot distances, fairways hit and more. The single-sensor platform achieves this by automatically detecting each drive and recording second shot position without the need for tagging or other annoying disruptions. To start using the system, players simply attach the ultralight Arccos Driver sensor to the grip end of any driving club. This – or a Cobra Connect driver Powered by Arccos – is then paired just once to an iPhone using the free Arccos Driver app. 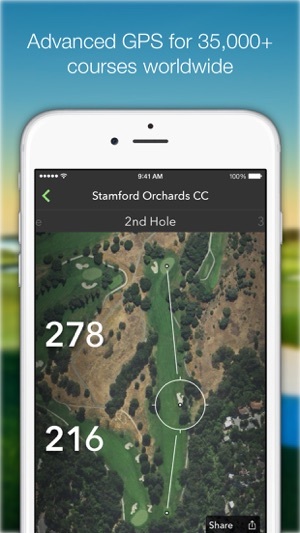 For the Arccos Driver app to work properly, users must keep their smartphone in a front pocket throughout their round. The Arccos Driver sensor runs on a standard watch battery (CR2032). This lasts up to 50 rounds, with charge level monitored via a battery indicator in the Arccos app. All Cobra Connect drivers Powered by Arccos feature second-generation hardware that comes with a two-year battery guarantee. 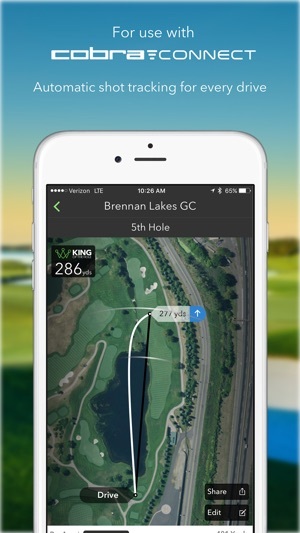 Arccos Driver uses the iPhone's background location capabilities to determine shot locations when in a round. Please be aware that continued use of GPS running in the background can dramatically decrease battery life. I got the Cobra F7 and was expecting an app which whilst automated for the Cobra would allow you to add your other strokes and keep score. Afraid it does not do any of that😟 even if you forked out another£225 for the full Arccos kit and then are allowed to use their other app (360) as far as I can see that is incomparable with the F7 device and you can't add a second tag so then what?. Bit disappointed in Cobra also for not insisting on a more comprehensive app. Another problem is that the fairways hit stats is calculated wrongly. Instead of looking at hits that are in the rough (logical) or repeats (logical) it assumes any hole not recorded must be a miss. Of course you don't use your driver on every hole. So gives nonsense figure. Think cobra buyers deserve better. Works fine, no real issues. Sensor stoped working so contacted Cobra US and they have had Cobra UK send me a replacement which is actually for F8........for free!